School break here in the Philippines is almost over. 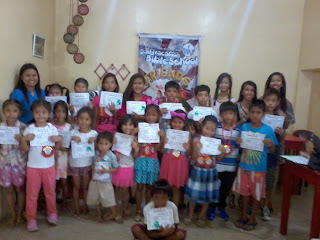 It is our great opportunity to teach free summer classes for children during this time. To be honest, this kind of ministry is one of the hardest event to manage because this would mean raising budget and searching for volunteers who are willing be a part of this huge work. To make this Daily Vacation Bible School possible, the church had to work hand in hand using every gifts we have. This is our second series of DVBS wherein we personally made everything from the lessons, poster, visuals, manuals and activities so as every little details necessary for the whole program. This way, we were able to cut on budget and having everyone support the work by having them use their God given gifts and talents; as this is what the church is suppose to be - have their gifts complement with one another so that the work of God will flourish. This year's theme was "Friends of God" our text from the scripture was from John 15:14 "You are my friends, if you do what I command." The DVBS program is for five days. Everyday the children learn Biblical stories about friendship (Abraham the Friend of God, David and Jonathan, Naomi and Ruth, Paralytic Man and his Friends, Jesus and His Disciples), a scripture to memorize, themed craft activity and series of lessons about prayer. We wanted every children to know that Jesus can be the very best friend that they can have. 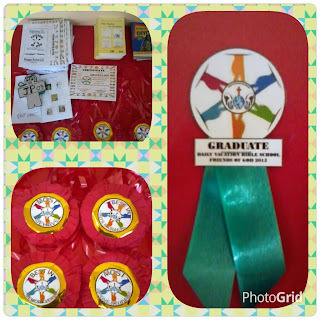 The classes were held from Mondays to Fridays and Saturday is the biggest event because it is our Graduation Day. 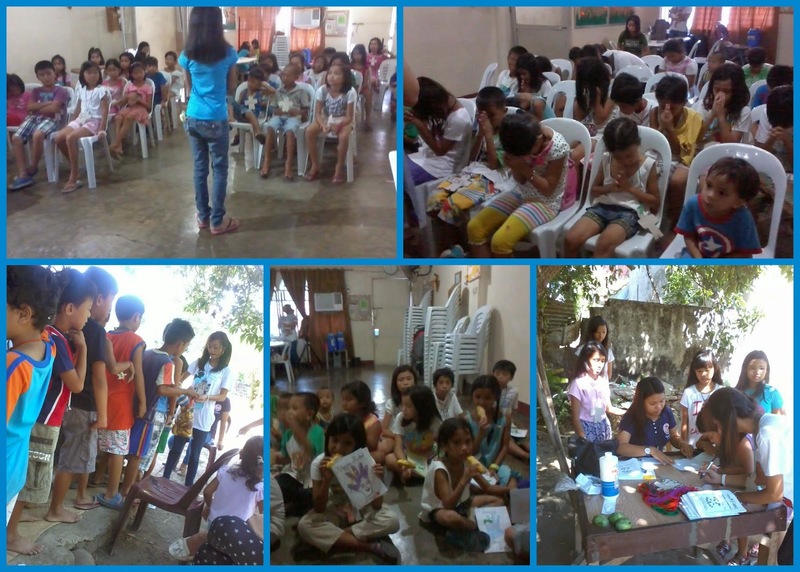 We are blessed to reach more than 130 students in 5 barangays namely, Pulo, Bolbok, Batangas City; Camella Homes, Sambat, San Pascual; Sta. Clara Pier, Batangas City; Barangay 21, Batangas City and Barangay 24, Batangas City. Our first scheduled classes were from May 11- 16, 2015. Morning Classes was held in Barangay Pulo, Bolbok, Batangas City then we will travel to Camella Homes, Sambat, San Pascual for the afternoon classes. 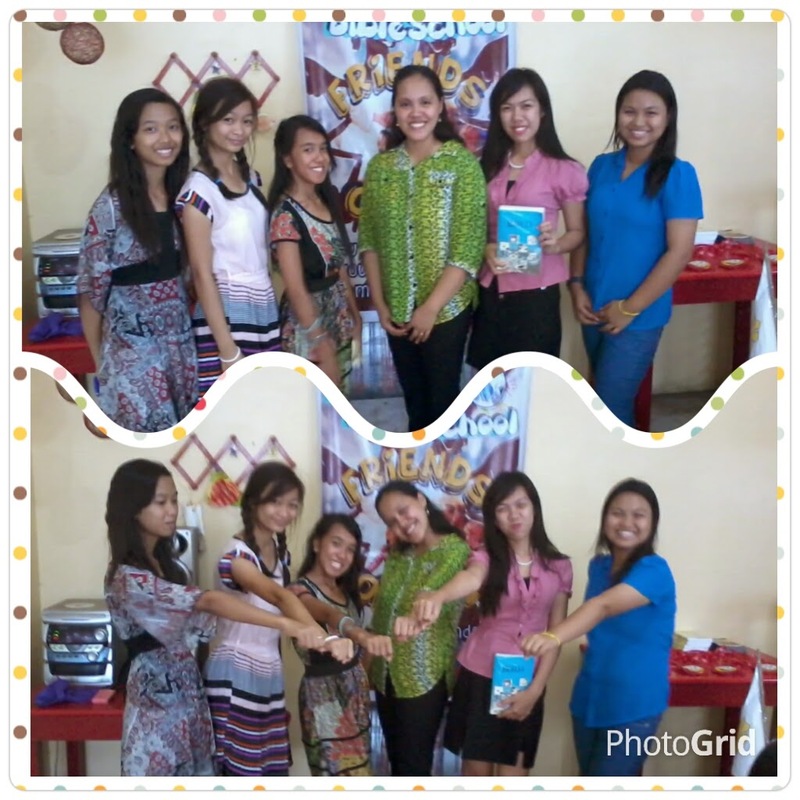 It is through Sister Mhindy Bisa de Castro, that we were able to open up the DVBS in her place at Bolbok. She helped prepare the way for us and we are also grateful for her generosity and hospitality. They prepared our venue everyday and have our tummies filled during lunch time. 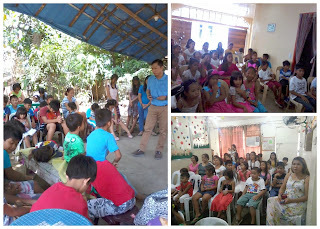 The classes in Camella Homes in San Pascual was hosted by our church planter, Pastor Eric Cedo with his wife Sister Eva Cedo. They are the ones who takes care of us every afternoon. The rest of the teachers stays with them during night time as the DVBS classes were on going. The classes here were held at CSF Hall San Pascual in Camella Homes. 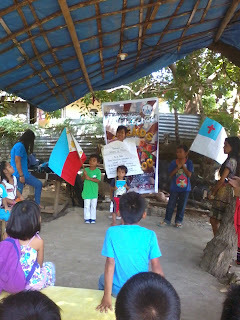 Then for Barangay 21, Barangay 24 and Sta. Clara, Pier situated here in Batangas City, all classes were held at the Christ Stewards Fellowship Hall, this May 18- 23, 2015. We can't accomodate all children at one session so we had Morning and Afternoon Sessions as well. Every detail didn't go as we all wanted it to be during the promotion and actual classes. We had to surpass every hardships and persecutions along our way. We encounter some students were called up by their parents to go home and were not allowed to join the classes we had. We heard some rejections that do hurt our feelings. 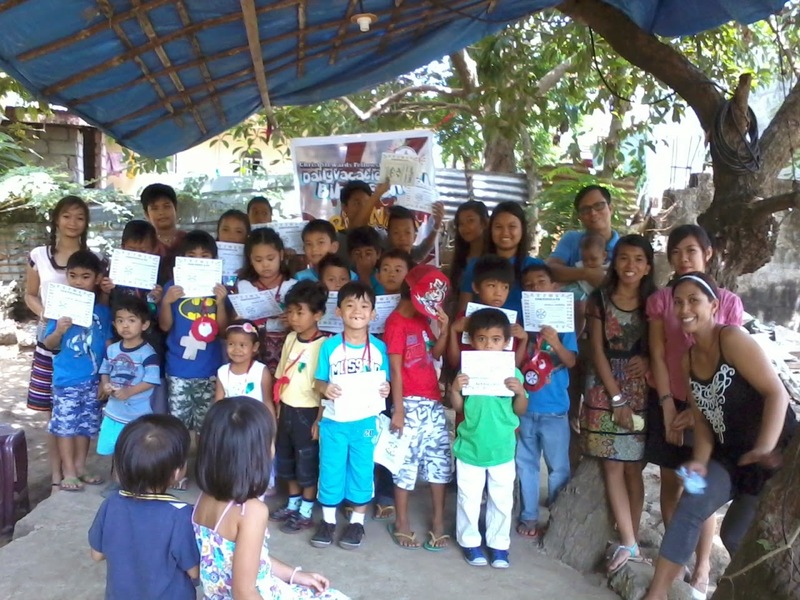 We had difficulties as where to get our budget so that the classes will continue. There are also times that we lost our patience and sanity because of the students' misbehavior in classes. I don't know if some people know how big our sacrifice is just to make this whole program possible. Our teachers don't get to receive a salary for doing this and would have to get money from their own pockets just to be present at every classes. Since this was for free, there are no tuition fees wherein we can spend to support our necessities in the class. Everyday we were able to teach the children, provide their school materials and gave them a snack at the end of every classes. Indeed God is so great for having this work accomplished. In our own, I know we can't make it. But it is God's love that compels us to push through and share to these children how much He loves them and that He can be a friend to them. It is our joy that some parents and guardians were present during the Graduation Ceremony. Our tired bodies were lightened up seeing every smiles these little ones have. We will surely miss every children who became a part of DVBS 2015. We teachers, learned a lot from these children too! For the rest of my DVBS staff I am really grateful on how you exerted all your efforts to reach these little children. The success of our DVBS was possible because of God's love that is working through your lives. Your photo's may not appear here and I may not able to perfectly mention your hard work but God sees every sweat you made to contribute in this ministry's success. I will also take the opportunity of thanking people who send us monetary support so we can go. May the Lord richly bless you. We also thank everyone who prayed for us. The devil always tried to hinder us but God is greater and stronger that we can keep on moving forward. 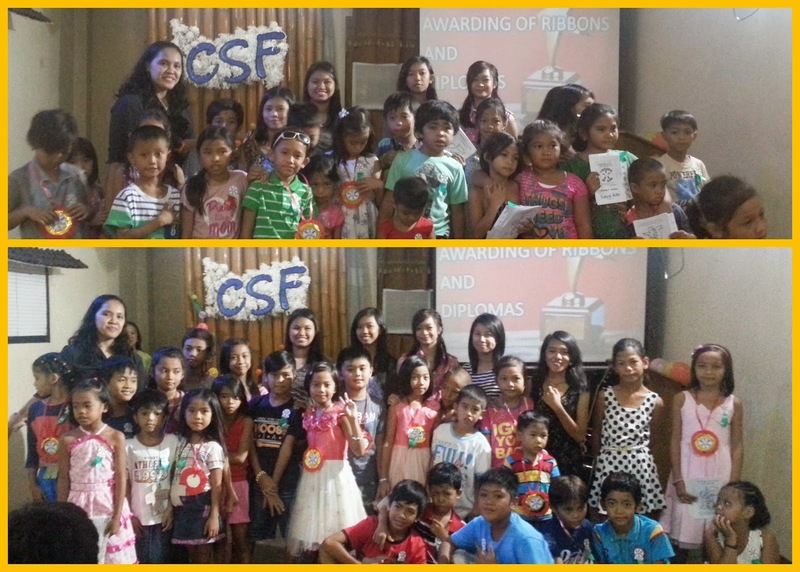 We are looking forward on your continuous partnership with us on reaching more children for Christ.